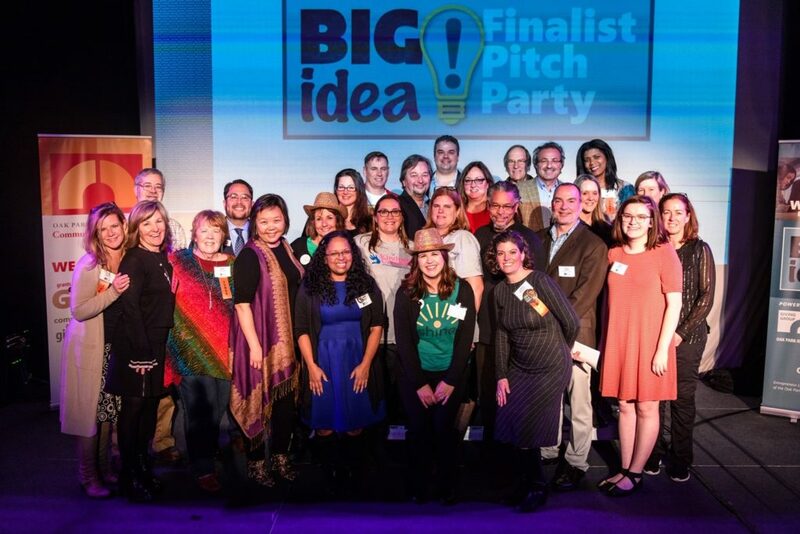 It’s Our Future is a project developed and pitched by Seven Generations Ahead (SGA) in collaboration with community partners as part of the Oak Park River Forest Community Foundation’s BIG IDEA competition, which selected 5 projects to make a live “shark tank” pitch on March 13, 2019. Partners include the OPRFHS Environmental Club; the One Earth Film Festival; and the Doris Davenport Radio Show. 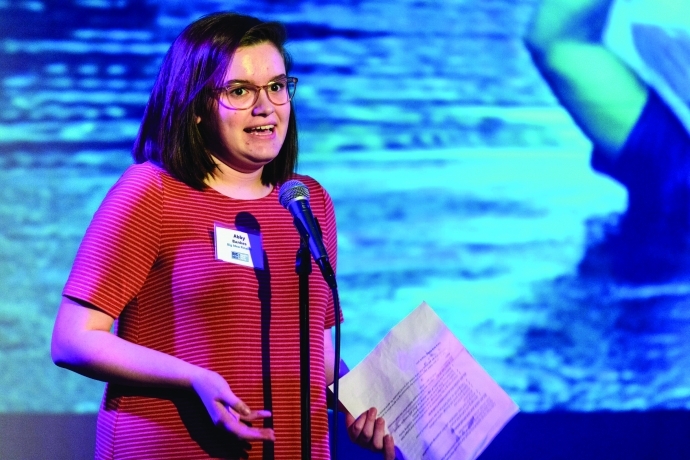 SGA founder/executive director Gary Cuneen and high school senior/OPRFHS environmental club co-president Abby Bankes made the pitch and we were selected to receive the $50,000 start-up funding! The impetus behind this project is that we adults have created without bad intention an environmental mess that is wreaking havoc on our planet and its inhabitants, and that many of us will be long gone when the damage gets to be catastrophic. The people who are going to be around and who will bear the brunt of our current decisions and lack of action on the issue of climate change are our children, their children and beyond. It’s Our Future will equip youth to advocate for climate change solutions and their futures. Educate youth about climate change. Build youth communication skills through a media workshop series – including radio show and pod cast series development; writing editorial articles; and facilitating community forums. Equip youth to organize youth and create forums with our adult community leaders to learn about what they are doing to combat climate change and to advocate for policies and practices that are not happening. Engage youth through the One Earth Film Festival’s Youth Advisory Council in hosting film screenings that lead to action. Involve youth in implementing the Environmental Sustainability Plan for Oak Park and River Forest through development of a Youth Core Team of PlanItGreen. Equip youth to participate on a national and international stage, including forums, demonstrations and UN Climate Change conferences that are being organized locally and across the globe.